At the Taylor Homes, Kemp knew everyone—and how to avoid trouble, Wright said. But she feared for his safety in their new surroundings. After they moved to the house on 67th Street, Wright told all of her children, “Don’t tell nobody we’re from the 40s,” a reference to the Robert Taylor buildings located between 40th and 50th streets. At first, Wright believed Kemp was caught in a random shooting. But she and her family have become convinced that Kemp was killed because he was plunged into a neighborhood filled with unfamiliar gang members and rivalries. The Chicago Police Department refused to address how they planned to deal with the violence in city neighborhoods to where residents are relocating. But police officers, community activists, public housing residents and researchers said the demolition of high-rises has squeezed many competing street gangs and drug dealers into tighter and tighter spaces in public housing, often with violent results. At the same time, they said, the relocation process has stirred up territorial disputes in neighborhoods like Englewood, pitting young men with established gang and drug connections against residents from public housing, where different networks controlled the illegal drug market. 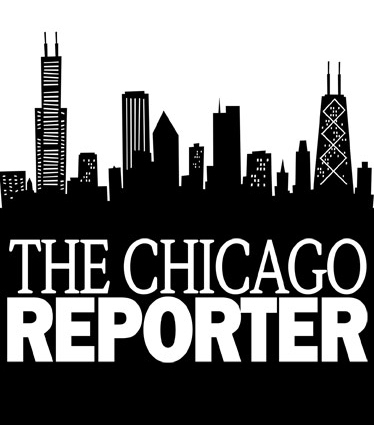 In a joint investigation, Residents’ Journal and The Chicago Reporter found several murders that were linked to such disputes. The publications also found that the murder rate in CHA developments has nearly doubled since 1999, the year before the city launched its Plan for Transformation, a 10-year, $1.5 billion redevelopment effort, in which the CHA moves nearly 25,000 families. And, while murders have fallen citywide, they have increased in Englewood and two other neighborhoods where large numbers of former CHA residents have relocated. City officials are aware of the problem. Former U.S. Attorney Thomas P. Sullivan, the CHA’s former independent monitor who oversaw the relocation process until early this year, wrote several reports in which he cautioned CHA officials about the dangers of relocating residents from neighborhoods or buildings controlled by one gang to another. He met with CHA officials and also said that CHA staff made “good-faith efforts” in 2003 to move families where they would not face trouble from gangs, but were not entirely successful in avoiding conflict. Some experts believe the violence is likely to continue as the city demolishes more high-rises, which have long been considered a haven for drug dealers. A lack of building security, the ease of controlling spaces inside the entryways and the inability of police officers to approach developments without being observed has made the high-rises valued drug “turf.” Gang members felt “the [housing] project itself was like a fortress,” said John Hagedorn, gang researcher and criminal justice professor at the University of Illinois at Chicago. He said pushing dealers out to other neighborhoods will force them “to carve out turf and contest with other gangs,” a violent process that he and other academics say they have observed for years in Chicago. Hagedorn said such turmoil didn’t happen in New York, Boston, Los Angeles and other cities throughout the country that saw their neighborhoods calm down and homicide rates drop steeply after the crack cocaine epidemic subsided in the ’90s. There is no one way to measure how the city’s gangs have responded to the demolition of public housing. In some areas, it has touched off deadly feuds that boiled in developments and outlying neighborhoods, adding to the city’s homicide statistics. Elsewhere, gangs that had been rivals now share the same buildings and appear to have cast off their old identities. As their turf shrank, many gang members discounted the rivalries and lore that were part of their culture, concentrating on what has become most important—the profits from drug dealing. Even then, agreements sometimes break down, and gunfire erupts. In 1999, 460 people were killed by firearms in the city. By 2003, that number climbed to 484. But the rate soared at CHA developments, where the number of firearm deaths per 1,000 occupied units rose from 1.3 in 1999 to 2.3 in 2003. In 2003, 24 people were shot to death in CHA developments, up from 21 in 1999, according to police data—even though the number of occupied units in the CHA fell nearly 37 percent in this time, from 16,446 in 1999 to 10,405 in 2003. In the same period, other serious crimes in the CHA such as criminal sexual assault, robbery and aggravated battery declined by nearly 50 percent. In three of the neighborhoods where CHA residents have frequently been relocated—Englewood, Roseland and South Shore—homicides increased by 36 percent from 1998 to 2003. Citywide, homicides fell by 15 percent during that time. Wright still doesn’t know for sure what happened to Kemp, but said the chain of events that ended in his murder probably began a week earlier when an acquaintance of Kemp’s, a 16-year-old boy known to many in the neighborhood as “Fatman,” was severely beaten by gang members from the 58th Street area. A.J., a wiry 16-year-old neighbor with polite manners, said Fatman wanted to go back to 58th Street and show the boys he had a posse. A.J. said he, Kemp and four other neighborhood boys agreed to go with Fatman to 58th Street. “We didn’t know the boys [Fatman was] into it with,” said A.J., who didn’t want his real name used for fear of retaliation. William Hull, 16, was arrested for the killing on June 16. An arrest report shows that police identify Hull as a member of the same gang that reportedly sold drugs at 4037 S. Federal St., the Taylor Homes building the Wrights left last fall. But similar gang affiliation does not mean much: Each neighborhood group would have different rules and rivalries of its own, said Dee, a close family friend, who used to live in the building and asked that her real name not be used. Still, Wright maintains Kemp was not a gang member. “He never disrespected me; he was an innocent bystander,” she said. Wright received a disability check for Kemp, an asthma sufferer. It was her only source of income. Wright said the family plans to move, but her lease is not up until September. Sammy, her brother, said as the two youngest siblings of their family, he and Wright have always supported each other. “One way or another, this family will make it,” he said. On July 13, in the early evening, the life of 31-year-old Byron Howard came to a violent end in a decayed playground between two buildings in the Cabrini-Green public housing development. Howard died in front of a group of young children, shot by an alleged rival drug dealer in retaliation for a previous altercation, according to some residents. Others said they heard rumors that the men argued over a sports jersey. Less than a week later, the only sign of Howard’s death was an immaculate white teddy bear lying among the damp wood chips and broken asphalt, left as a memento. Nearly 20 people have been gunned down at the development since 1999, the result of intensified competition for drug turf, according to residents. Police arrested and charged Mose E. Stamps for Howard’s murder later that week. Court documents show Stamps had been arrested for selling drugs. And though Stamps was not a Cabrini resident, according to police records, he had also been arrested for alerting individuals that they under surveillance during a narcotics investigation at Cabrini-Green. Marvin Edwards and his twin brother Maurice, now 36 and known around the neighborhood simply as “the twins,” have lived in Cabrini-Green all of their lives. They can hardly keep track of all the gang fights that have broken out over the years. Some were the result of personal slights that young men took too seriously, they said. But others had a clear origin—the drug market that many of Cabrini’s young men find more lucrative than unemployment, or low-paying jobs, the twins said. Since 1998, as the city demolished dozens of high-rises in the Robert Taylor Homes, Rockwell Gardens and Stateway Gardens, Marvin Edwards and some of his neighbors have watched factions of known gang members from those developments migrate to Cabrini-Green. “They cliqued up with other [lower-level] guys” and went into business together, he said, though they were from a wide array of gangs. And when reputed gang leader Ernest “Smoky” Wilson tried to impose a tax on their operations, “all those heads started bumping,” Marvin said. “It was something out of a Beirut movie,” Marvin said of the gang war that then erupted, on July 15, 2001. “They were firing AK-47’s from every vacant apartment” in the high-rises on Division Street. Within three weeks, the upstarts and all their “cliques” had established the right to occupy their new buildings without paying taxes, Marvin believes. The twins organized more community events and things were relatively peaceful for over a year. But during 2002, 10 people were shot to death in the Cabrini development, the highest one-year total at a CHA property during the last five years, according to police data. Another flare-up may be on the horizon. In April, the CHA issued notices to 385 families in nine Cabrini-Green buildings informing them that they had 180 days to move out of the buildings, and into another public housing unit or the private market with a housing voucher. Residents challenged the notices and took the CHA to court. A federal judge approved a plan to have the CHA team up with the Cabrini residents’ advisory council to survey residents on where they want to live. But some residents said issuing the 180-day notices has touched off a flurry of shooting incidents, including the one that claimed Howard’s life. The impending demolition has made the handful of dealers there fear they are running out of time. “Everybody’s trying to sell as much as they can,” said Maurice Edwards. The changing landscape at the South Side’s Robert Taylor Homes has also sparked gun battles and unlikely gang alliances. From 1999 to 2003, 17 people were shot to death at the development, where three high-rises remain out of the 28 that once towered over the Dan Ryan Expressway. Drug dealers at Taylor have attempted to divide up the shrinking territory, with limited success. There’s less territory to claim and more people to share it—or fight over it. At 4429 S. Federal St., one of the three remaining high-rises, known gang factions from Taylor’s demolished buildings frequently gather at the base of the building. Jermaine “Dewey” Colbert, 28, Hallom’s cousin, was murdered directly behind the building on March 6, according to police records. Hallom said Colbert was killed by a member of his gang. In the building, even the gang factions have split into factions, said Mary Forney, a 10-year resident of Taylor who saw the shooting from her window. Police records show Colbert had lived at 5001 S. Federal St., a now-demolished Taylor high-rise. He had been arrested for attempting to sell narcotics in the 3900 block of South Prairie Avenue as recently as December 2002, and by that time he was living at 12022 S. Prairie Ave. on the far South Side, records show. Police said he was a self-identified member of the Vice Lords, although the 4429 S. Federal St. building has historically been dominated by a different gang. Residents say the dealers at 4429 S. Federal St. are affiliated with a number of gang factions. But, on the first of every month, when welfare benefits and paychecks arrive at once, the dealers do their heaviest business, and, at least temporarily, are too busy to fight over the turf. On May 1, children were playing on the gallery-style porches, and music was blasting loud. Hot coals were sputtering in outside barbecues. At least six boys and young men were standing downstairs, some pitching pennies, while others were shooting dice. Although most buyers appear to be African American and poor, it’s not unusual to see a white person, or someone in a suit, or, occasionally, an addict with fingertips burnt from smoking and circles under his or her eyes. “There’ll be so many people downstairs I can’t count them,” Hallom said. In mid-July, the action seemed to have calmed down. A much smaller crowd hung out on both sides of the building, some involved in the drug trade and others just enjoying the sunshine. The scene was peaceful, but inside, two young men carefully shielded objects they’d hidden away in a hole in the wall. Violence like the Colbert shooting is not uncommon. On June 26, 2003, George Holiday, 32, and Lesley A. Coppage, 24, were shot to death in broad daylight in the 2200 block of South State Street in the Ickes Homes development. “Most of the shooting around here is [caused by] someone selling on their turf,” said Gloria Williams, the president of the Ickes Homes Local Advisory Council, pointing to the June 26 shooting as an example. But she hates to give people the impression that Ickes, one of the sites used to house relocated residents, is wracked by uncontrollable violence. “This is one of the few developments where kids ride their bikes and girls jump rope,” she said. A 33-year-old patrol officer has witnessed the same free-for-all in the 5th Police District on Chicago’s far South Side. “It’s like a killing frenzy out here,” said the officer, who has spent the past four years in the 5th District, which includes the Roseland, Pullman, West Pullman and Riverdale community areas. He asked not to be identified, fearing for his job security. “[The killing] stems from a lot of people from other projects being dumped in Roseland” as well as increased drug-selling competition. From 1998 to 2003, the number of killings in the Roseland community area jumped by 40 percent, from 15 to 21. There were 26 murders there in 2001. But the shootings are not necessarily “gang conflict,” at least the way most people understand it, the officer said. Typically, the conflicts result from disputes between dealers over who has the right to sell drugs in a particular area. Their gang connections are often difficult to unravel—and sometimes irrelevant, he said. The pursuit of drug money has broken down the gangs—and, ultimately, led to more conflict, said Benny Lee, a former gang leader who is now an outreach worker for CeaseFire. Started in 1995, the organization works with community groups, churches, and others to reduce neighborhood violence. As a member of one of the first black families in Austin during the late ’60s, Lee and a group of friends were constantly harassed by whites. “That forced us to become a gang,” he said. Lee joined in 1967, when he was 14. But things began to change in the early 1980s, when Lee and other members of his gang returned from prison. Returning to their neighborhoods, they found few opportunities. “That’s when [many] got into drug selling,” Lee said. “Different branches began controlling their own turf in their own neighborhood,” he said. Then, by the late 1990s, the gangs that had once dubbed themselves “Nations” had fractured into blocks. “Many people who control a neighborhood’s drug trade might still recognize a gang, but it’s the drug money that holds their loyalty,” Lee said. And the money elevates the tension. Tio Hardiman, a community coordinator for CeaseFire, said a male relative recently relocated from the Henry Horner Homes, a West Side public housing development, to the Humboldt Park neighborhood on the Northwest Side. His relative quickly attracted attention from the neighborhood’s young gang members, who feared he was setting up a new drug-selling operation. But other issues can also lead to violence, including more routine misunderstandings, perceived slights and women. “Some guys just like being gladiators,” said Hardiman. He recalled a shooting involving two men from different gangs that had nothing to do with their gang affiliations and was, in fact, a fight over a parking space. “Is that a gang war?” he asked. Hardiman’s approach with the young men who threatened his relative is the style that has become CeaseFire’s trademark. Every evening, 70 outreach workers, many of them former gang members, hit the streets to work with approximately 850 young men the workers have identified as violent, angry, possibly involved in the drug trade and potentially willing to solve conflicts with guns. Dr. Gary Slutkin, the physician who runs CeaseFire, claims his organization has helped keep the city’s homicide rate in check. In 2003, police beat 1413 in Logan Square, torn by gang warfare, led all beats in the city with 10 homicides, according to a special report on homicides by the Chicago Tribune. Throughout the year, CeaseFire had two full-time and two part-time workers in beat 1413. This year, the organization boosted that number to 10 full-time workers, and beat 1413 made it through the first half of 2004 without a single killing. In addition, Hardiman said, the organization has helped defuse 32 conflicts this year that could have led to homicides. But, in the Gresham police district, which includes the Chatham and Auburn-Gresham community areas, there were 22 murders during the first six months of 2004, compared with 29 murders there in all of 2003. The surge happened even while eight CeaseFire workers were assigned to the district. Hagedorn, of the UIC, remains skeptical that the initiative can lower the city’s homicide rate in the long term. Just like policing efforts, CeaseFire does not address the underlying causes of violence, he said. Hagedorn constantly points to Chicago’s need for affordable housing, saying it can’t be a coincidence that cities with high homicide rates tend to be older, poorer and more segregated. During the ’90s, New York City poured $1 billion into affordable housing in the South Bronx, its most devastated area, and saw its homicide rate drop dramatically. “The South Bronx looks different now,” Hagedorn said. But “you don’t see the massive investment in regular people’s future” in Chicago. In addition, he believes that drug dealing doesn’t have to be violent. He notes that illegal drugs are found at equal levels in the suburbs and wealthier communities, in which drug dealing tends to operate through friendships and other informal contacts. The police presence in public housing and poor neighborhoods adds to the pressure. In the suburbs, little police pressure is around, so no security or lookouts are needed, and, above all, there’s no turf to fight over. Hagedorn hopes the police can occasionally drop their pursuit of dealers and help settle conflicts. Police have tried in some areas. Harold “Noonie” Ward, a former gang leader on the far South Side who grew up in the Altgeld Gardens public housing development, said he “dropped his flag,” or left his street gang, in the early 1990s, but was approached last summer by neighborhood police officers about helping to negotiate an end to a flare-up of violence. He said several older gang members imprisoned in the ’80s were recently released from prison and wanted to settle old scores in Altgeld Gardens. But he told the cops, “I don’t have no juice” with the younger members and couldn’t help. Still, it is possible that a cooling-out process is happening in select areas of Chicago. Gail Singleton, the president of the Local Advisory Council at the Dearborn Homes on the near South Side, said her development has calmed down in recent years. “The guys haven’t been as violent,” Singleton explained. In 2001, there were 19 arrests in Dearborn for either aggravated battery or aggravated assault and battery with a handgun, police records show. In 2003, there were eight. But dealing hasn’t stopped, residents say. “In my building, it used to be every once in a while. Now it seems to be every single day,” said Cynthia Bridges, a Dearborn resident originally from the Taylor development. And Singleton has some concerns about the future. Contributing: Brandon Davis, Brandi M. Green, Scott Krischke and Jessica Young helped research this article.